Is there a better alternative to Battle Ducks? Is Battle Ducks really the best app in Strategy and War category? Will Battle Ducks work good on macOS 10.13.4? Battle Ducks... A fun, entertaining, and beautiful style of turn based duck warfare. 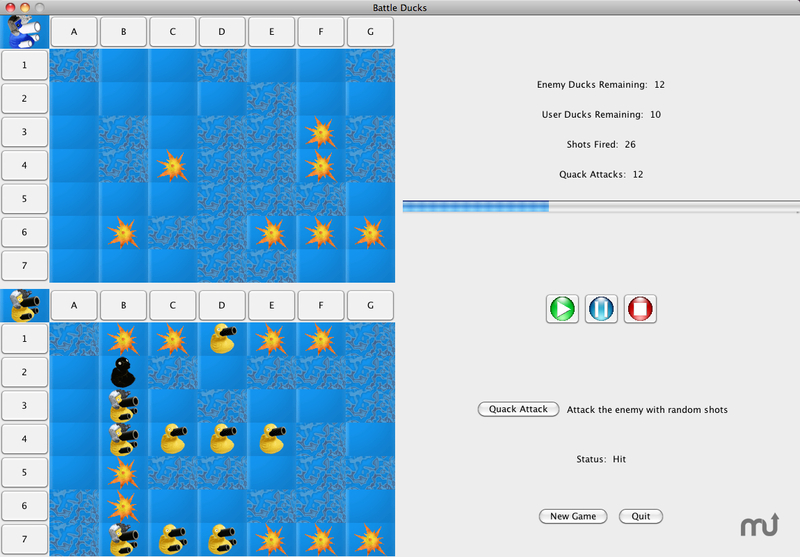 Similar to the classic battle ship board game, Battle Ducks has clean graphics and fun and entertaining music. As an OTBSoft program provided under the OSIL (Open Source Ideal License), Battle Ducks is, and always will be, Free and Open Source, for your enjoyment and future modification. BATTLE DUCKS 1.0.0 IS OFFICIALLY STABLE!! Battle Ducks needs a review. Be the first to review this app and get the discussion started! Battle Ducks needs a rating. Be the first to rate this app and get the discussion started!